The Greater Mankato Bike and Walk Advocates provides bicycle education for groups in the Greater Mankato Area. Greater Mankato Bike and Walk Advocate Board Members who are League of American Bicyclists certified instructors offer the courses. For more information contact Board President, Lee Ganske. Greater Mankato Bike and Walk Advocates is an Affiliated Committee of the Bike Alliance of Minnesota, a Minnesota non-profit 501(c)3. 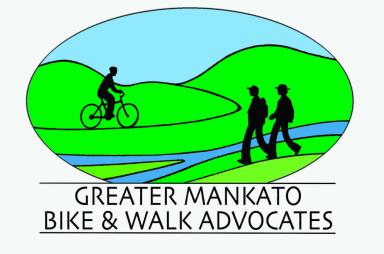 Greater Mankato Bike and Walk Advocates is an Affiliated Committee of the Bike Alliance of Minnesota, a Minnesota non-profit 501 (c) 3.